How To Add Grammarly For Mac? What Do You Get From Grammarly Mac Download? Proofreading software is the best alternative for the manual proof-readers who might have least accuracy and consume more time as well. Well, the proofreading tools are way much cheaper than their price tags and some are even available for free of cost. 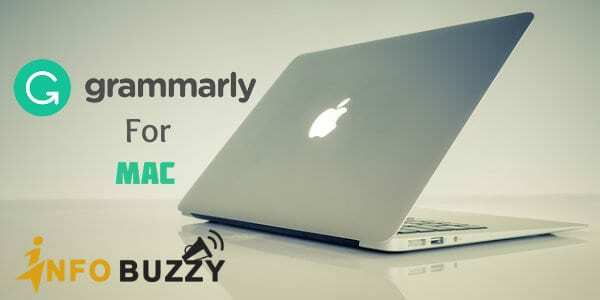 If you are a Mac user who looks for the best grammar checker for Mac or wants to download Grammarly for Mac device, then this post is for you! If you are not familiar with the proofreading tools then have a sneak peek at the post that I’ve written previously on best proofreading software for Mac. 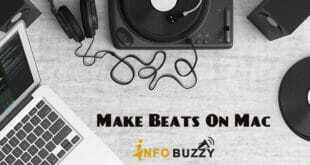 These tools unanimously help you out when you aren’t a native English speaker and is a content creator or publisher so that you could compose articles, or blog posts or any other writing without any errors. Now, let me tell you a few words about Grammarly! Grammarly has been a perfect solution for the proofreading task since it has been introduced in 2009, and is used nearly by 6.9 million users as per their report on last September 2017. They have its native app on Web and Windows platforms with lot many cool features that help in proofreading the article or writings of yours for any errors including grammatical mistakes, punctuation mistakes, and improper sentence construction and improves the way you write. You might ask, Can I use Grammarly on Mac? Yes! Grammarly has extended their supportability to Mac OS launching a dedicated app with all the same features and powerful compatibility targeting their group of users working as a blogger, student, writer or any other professionals. Let’s discuss how to add Grammarly app for Mac through this post! I have started to use the MacBook last year and I would say it is a productive gadget that helps me to carry out my blogging tasks efficiently. To heighten my writing, I was searching to download Grammarly for Word Mac and came to know the following things! Grammarly doesn’t offer any exclusive add-in for MS Word or Pages for macOS users! You can download the native desktop app of Grammarly for Mac. You can install the Grammarly’s browser extension for Safari, Chrome or Firefox on Mac. If you have Windows on your Mac gadget, you can download Grammarly for MS Office. When you sign-in to your Grammarly account, it automatically syncs with all your documents and supports the popular extensions like MS Word (.doc, .docx), OpenOffice (.odt), .txt and .rtf. The Grammarly Microsoft Office version supports the Mac outlook as well. As I mentioned earlier, you may use the browser extension to get Grammarly for Mac mail. Otherwise, use Grammarly editor to write the mistake-free emails. Now you can download your preferred application of Grammarly as per requirement! 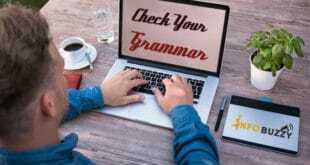 The Grammarly is recognized to identify and correct more than 250 common and other advanced grammar rules. It corrects your spelling mistakes as well. It scans the punctuation and sentence structure to make it perfect. It is even capable of fixing your missing articles, comma splice, weak adjectives, and unwanted usage of words repetitively. The writing style will also be scanned by Grammarly which indeed helps to avoid critical redundancy and passive voice analyzer. Genre-specific writing style check (six distinct writing genres precise), vocabulary and thesaurus enhancement suggestion are the part of advanced proofreading features. Vocabulary enhancement is an awesome feature to get the meaning of words in any websites online, just by double-tap on it and get the meaning in a popup window. The plagiarism detector scans numbers web pages revealing more than 8 billion according to their official website. Users are allowed to add and customize your personalized dictionary way in which integrate your signature articles. Sticking to the typical proofreading solution is a falsifying description for Grammarly, I’ve found that Grammarly for Word Mac always provides most pioneering features to the date. The Grammarly is available both as free and premium version, in which the free version restricts the additional features. Paying for Grammarly premium isn’t really expensive since it is totally worth. You may pick the annual plan of the software that costs you just $11.66/month which is available for $139.95. While the free version is free for the lifetime with no compulsions for paid upgrades but with limited features. They have a refund policy that can be availed upon if the user is not satisfied with their services within 7 Days of Purchase. The user can get the money back on their premium service, just need to raise a support ticket or email them stating the issue. If your profession is related to Writing, then buying the Grammarly Premium is a wiser choice. 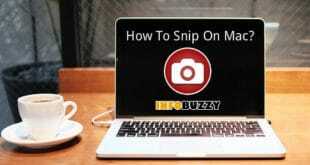 Upload the file for corrections and download the same without any format change. Installing and using the Grammarly for Word Mac is no rocket science! After you register for the account and sign-in, you will see the following simple interface which is easy to use. In this best Grammar checker for Mac, you can either copy-paste the content or upload the document to check the grammar and other errors. If you use the browser extension, it will automatically detect the writing errors and suggest you correct them. 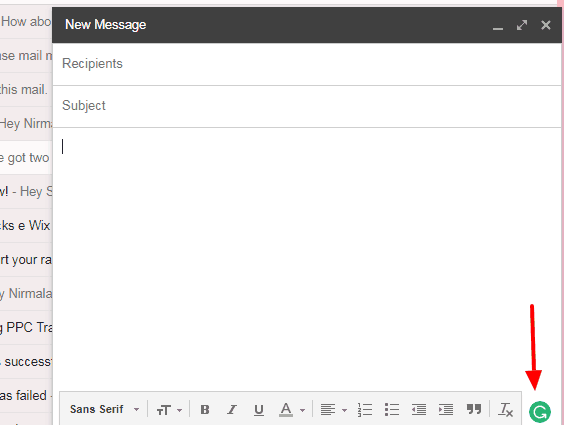 Check the below image how the Grammarly is active in my Gmail when I was about to write an email! Similarly, you will get this grammar checker everywhere you write on the web! If you were wondering “Is the Grammarly software compatible with the Apple Mac computer?”, I hope that you have understood that you can use Grammarly for Mac computers. The Grammarly download for Mac certainly is a great replacement solution for any other proofreading software as it performs a detailed error checking process for your content. It is more than a proofreading tool, which can be regarded as a writing enhancement software that meets most of your requirements to upraise your professional as well as personal writing. Through its readability score and insights, you can get a great writing confidence and generate the error-free piece of content. Wrapping up, I would suggest you use Grammarly for Mac gadget and you could literally say Goodbye to all Text fails that you face in any situation. How To Access Blocked Websites On Mac?